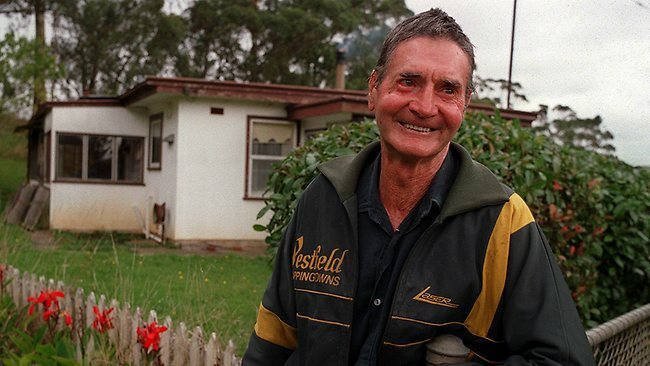 Cliff Young was born on 8th February 1922 and spent his first few years living in an old bark hut with his family. They struggled during his early years and also during the depression. His father had to take work wherever he could and manage the farm at weekends. Cliff grew up in a farm spread over 2000 acres and he used to manage around 2000 sheep. He was forced to run almost continuously to effectively manage the sheep roaming in the farm. Cliff started professional running at the age of 56 and his first fun run was the 1979 Adidas Sun Superun. The 16 kilometre course crossed the Westgate Bridge and was amongst the first events in Australia to capture the start of the fun run boom. He ran a very respectable 64 minutes and was even interviewed by the Melbourne media. Cliff produced another three hour performance in the Melbourne Marathon the following year and finished forty third. The TV Commentator doubted Cliff’s ability, thinking that he must have come in from a side street before finishing!. Every year, Australia hosts 875-kilometer endurance racing from Sydney to Melbourne. It is considered among the world’s most grueling ultra-marathons. The race takes five days to complete and is normally only attempted by world-class athletes who train specially for the event. These athletes are typically less than 30 years old and backed by large companies such as Nike. In 1983, Cliff Young showed up at the start of this race. Cliff was 61 years old and wore overalls and work boots. To everyone’s shock, Cliff wasn’t a spectator. He picked up his race number and joined the other runners. He arrived at the start with the feeling that the other runners were looking at him with disdain. He knew he had something to prove. Cliff’s training was growing up on a farm, herding sheep before storms – 2,000 sheep on 2,000 acres. Sometimes he would run for two or three consecutive days, and this race would be no different. When the race started, the pros quickly left Cliff behind. The crowds and television audience were entertained because Cliff didn’t even run properly; he appeared to shuffle. Many even feared for the old farmer’s safety. In order to compete, one had to run about 18 hours a day and sleep the remaining 6 hours. The thing is, Cliff Young didn’t know that! When the morning of the second day came, everyone was in for another surprise. Not only was Cliff still in the race, he had continued jogging all night. It was on the first night that Cliff and his crew accidentally rewrote the rule book about multi-day ultra running. They pulled off the road for a six hour break. Cliff was awakened only a short time later, thought to himself that it was a quick sleep, then headed for the road. It was still dark and it only took Cliff and his crew a short time to realize that he had only slept for two hours! Regardless, Cliff felt good and the consequences were written into Australian athletic history. Eventually Cliff was asked about his tactics for the rest of the race. To everyone’s disbelief, he claimed he would run straight through to the finish without sleeping. Cliff kept running. Each night he came a little closer to the leading pack. By the final night, he had surpassed all of the young world-class athletes. He was the first competitor to cross the finish line and he set a new course record. Cliff became a national hero after his amazing win in the 1983 inaugural Westfield Sydney to Melbourne run and since then has participated in almost 20,000 km of ultra marathons. Since turning 60, he has set six world endurance records. Cliff came to prominence again in 1997, aged 76, when he attempted to raise money for homeless children by running around Australia’s border. He completed 6,520 kilometers of the 16,000-kilometer run before he had to pull out because his only crew member became ill.
Cliff was at the 1999 Coburg 24 Hour Carnival when he completed 147 km. A storm came through in the evening which sent most of the competitors scurrying for cover but not the 77 year old Cliff. He was leaning forward and kept going through the wind, rain and sleet. Though Cliff young started professional running only at 56 he created several world records due to his self confidence and will power. He was able achieve so much even in the absence of shoes of international standards and lack of professional training by coaches. Inspiring life of Cliff young will definitely inspire young athletes to aspire for international awards. This entry was posted in Uncategorized and tagged 1983 inaugural Westfield Sydney to Melbourne run, 1999 Coburg 24 Hour Carnival, Adidas Sun Superun, athletes, Australian athletic history, Cliff Young, Cliff Young farmer, Cliff Young – 61 yr old farmer who Won the World’s Toughest Race, endurance racing, Marathon, Melbourne Marathon, professional running, Quotes of Cliff Young, race, run, runners, ultra running, ultra-marathon, world's most grueling ultra-marathons, world-class athletes, World’s Toughest Race. Bookmark the permalink.